HONDA INTEGRA Coupe (DC2, DC4) 1.8 Type-R 1997-2001. 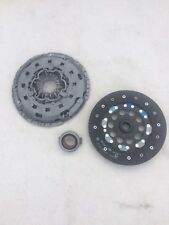 Genuine Honda Clutch disc for;. HONDA PRELUDE V (BB) 2.2 16V 1996-2000. Buy now for £45. OEM Exedy Clutch Kit 3pc with Nachi Bearing. Built specifically for Honda K-series K20A and K20Z. 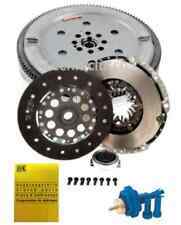 Genuine Honda Jazz 2002-2008 CVT Starter Clutch Repair Kit. -CVT Starter Clutch Assembly (Modified). 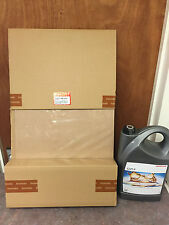 -4lts of Genuine Honda CVT Type 1 Fluid. -Washer for the CVT fluid drain plug. CRV 2007 2008 2009 2010 2011 2012. This is a new Genuine Honda 3 Piece Clutch kit to fit the following 2.0 Petrol models The kit includes: 1x Friction Plate, 1x Pressure Plate, 1x Release Bearing. DUAL MASS FLYWHEEL GENUINE LuK CLUTCH KIT OE QUALITY 2 YEAR WARRANTY ---| KIT INCLUDES |--- 1 x DUAL MASS FLYWHEEL - OE QUALITY 1 x GENUINE LuK CLUTCH COVER PLATE 1 x GENUINE LuK CLUTCH PRESSURE PLATE 1 x GENUINE LuK CLUTCH BEARING 8 x DUAL MASS FLYWHEEL SCREWS FITS Description Model Year Body Style kW HP cc HONDA - ACCORD VII (CL) - 2.2 i-CTDi 01.04 -12/2007 Saloon 103 140 2204 HONDA - ACCORD VII Tourer (CM) - 2.2 i-CTDi 01.04 -12/2007 Estate 103 140 - 2204 HONDA - CIVIC VIII Hatchback (FN, FK) - 2.2 CTDi 01.06 - Hatchback 103 140 2204 HONDA - CR-V Mk II (RD_) - 2.2 CTDi 02.05 - 09.06 Closed Off-Road Vehicle 103 140 2204 HONDA - CR-V Mk III (RE) - 2.2 i-CTDi 4WD 01.07 - Closed Off-Road . 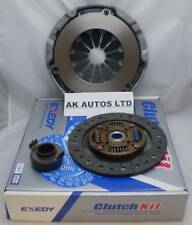 Competition Clutch Kit for Honda Civic & Integra Type R applications (K20A). Looking for a performance Clutch and Flywheel set-up?. HONDA 2.2 CTDi DUAL MASS FLYWHEEL & CLUTCH KIT. HONDA CIVIC 2.2 CTDi 09/2005-. HONDA CR-V MKII 2.2 CTDi 02/2005 - 09/2006. HONDA CR-V MkIII 2.2 i CTDi 4WD 01/2007-. HONDA FR-V 2.2 i CTDi. 1 x DUAL MASS FLYWHEEL. 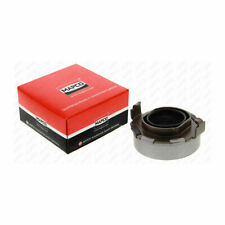 Honda Civic MK7 1.6 D16V1 EP2 VTEC 2001-2005 Exedy Clutch Cover Disc Bearing Kit. Part Manufacturer:EXEDY. 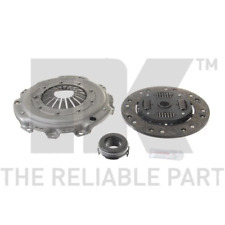 Kit Contains : 1 x Clutch friction plate, 1 x Clutch pressure plate, 1 x Clutch release bearing. 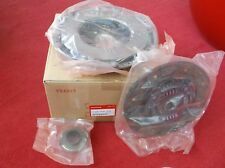 GENUINE HONDA DIESEL CLUTCH KIT. We are an established Honda main dealer and can provide parts & accessories for all the Honda range. All our parts are ordered directly from Honda UK and are 100% Genuine. HONDA CIVIC 2.0 TYPE R EP3 MODELS 2001-2006 ALL MODELS. Genuine Exedy Clutch kit. Clutch pressure plate. Organic clutch driven plate. 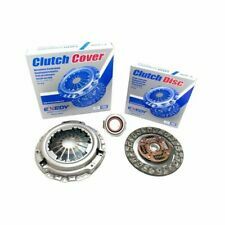 1 x BRAND NEW EXEDY CLUTCH KIT CLUTCH DISC | CLUTCH COVER | RELEASE BEARING FITS HONDA CIVIC VIII FN2 2.0 TYPE-R 03.2007-06.2011 ENGINE CODE: K20Z4 PLEASE LEAVE VEHICLE REGISTRATION NUMBER AFTER PURCHASE TO AVOID ANY DELAYS IN THE DELIVERY PROCESS!. 1 x BRAND NEW OEM QUALITY EXEDY CLUTCH KIT ( MADE IN JAPAN ) FITS: Model Year Body Style kW HP cc HONDA - CIVIC VII Hatchback EP3 2.0 Type-R 09.01 - 09.05 Hatchback 147 200 1998. MPN - 624335600. The information provided in the compatibility should be used as a guide only. Engine Version - for engines with dual-mass flywheel. Ø - 240 mm. EXEDY Clutch pressure plate. EXEDY clutch driven plate. EXEDY Clutch release bearing. HONDA CIVIC 1.4i-DSi ALL MANUAL 6 SPEED MODELS 2008 - 2012. Passende Fahrzeuge. Teilesucher HSN Hier finden Sie. HONDA CIVIC EP 3 TYPE R K20A2 2000-2005. However delays are occasionally inevitable due to unforeseen circumstances. OEM Numbers 22200-PRC-003, 22300-PRB-003, 22300-PRC-003, 22810-PPT-003, 22810-RPN-003. CRX 1,6 ESI EH6 ENG CODE D16Z6 MODELS FROM 1992 - 1996. Clutch pressure plate -. clutch driven plate - 212mm dia. Clutch release bearing. Clutch spline grease. IF YOU WANT THIS CLUTCH FITTED CALL US FOR A QUOTE OR BOOKING ON. EXEDY Clutch Kit. Exedy supplies to all 11 vehicle manufacturers in Japan including Honda as well as many other vehicle manufacturers. This kit will fit all B-series engines with a hydraulic clutch system. In order for a car to stop without stalling the engine, the wheels need to be disconnected from the engine. GENUINE HONDA PARTSWhy should I only fit Genuine Honda Parts to my vehicle?. Honda Air & Pollen Filters capture 99.9% of impurities in the air. The two decoupled masses are linked by a spring/damping system. One clutch disc, without a torsion damper, between the secondary mass and the transmission handles the engaging and disengaging functions. The English Courts shall have jurisdiction to hear disputes between us. We reserve the right to restrict the number of products you may order and to refuse any order. Only when we have accepted your order is a binding contract created between us. 2.0iF20B6 PETROL 1998-12/2002. 1.8F18B2 PETROL 1998-12/2002. FOR HONDA CIVIC 2.0 K20A2 TYPE R EP3 OEM EXEDY JAPAN CLUTCH KIT BEARING & PLATE. 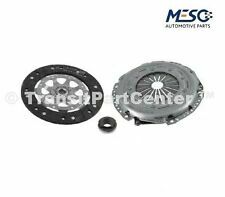 FOR Toyota Aygo Peugeot 107 Citroen C1 EXEDY MODIFIED UPRATED CLUTCH KIT. Technische Informationen Kupplungssatz: Ø: 212, Zähnez. : 20. Die Westlake Kupplungen entsprechen den Erstausrüsterstandards 100%ig. HONDA CIVIC V Coupe (EJ) 1.6 i Vtec (EJ1) 01.94 - 03.96 92 125 1153-305. Kit frizione. Sede operativa: Contrada Ionta - Area PIP - 84020 Oliveto Citra (SA). RICAMBI AUTO SMC. Condizioni di vendita. SEAT IBIZA IV (6L1) 1.4 16V 2002/02 - 2009/11 74 100. SEAT IBIZA IV (6L1) 1.4 16V 2006/05 - 2009/11 63 86. HONDA 22105PLC305. HONDA 22105-PLC-305. HONDA CIVIC IX (FK) 1.4 i-VTEC 73 02.2012 -. HONDA CIVIC VII Hatchback (EU, EP, EV) 1.4 iS (EP1) 66 02.2001 - 09.2005. HONDA CIVIC VII Tre volumi (ES) 1.4 (ES4) 66 12.2000 - 09.2005. BRAND NEW 3pc EXEDY CLUTCH KIT CLUTCH DISC | CLUTCH COVER | RELEASE BEARING Fits: Make: Honda Model: Civic Engine Size: 1.4 | 1.5 Year: 1995-2005 Fuel Type: Petrol Diameter (mm): 200 Engine Code: D14Z5 | D14Z6 | D15Z6 No of Teeth (Splines): 20 Model Year Body Style HONDA - CIVIC Mk V Hatchback (EJ, EK) - 1.5 i (EK3) 11.95 - 02.01 Hatchback HONDA - CIVIC Mk V Saloon (EJ, EK) - 1.5 i (EK3) 11.95 - 02.01 Saloon HONDA - CIVIC VII Hatchback (EU, EP, EV) - 1.4 i 02.01 - 09.05 Hatchback HONDA - CIVIC VII Hatchback (EU, EP, EV) - 1.4 iS (EP1) 02.01 - 09.05 Hatchback HONDA - CIVIC VII Saloon (ES) - 1.4 (ES4) 12.00 - 09.05 Saloon Please check availability and fitment before purchase!. EBC Complete Performance Race Clutch Kit SRK075. EBC SRK race clutch kits feature aramid fibre lined plates, heavy duty clutch springs and steel separator plates. EBC is committed to producing the highest quality parts that they can that you know you can rely on. HONDA CIVIC VIII Hatchback (FN, FK) 2.2 CTDi 2005/09 - 0/ 103 140. HONDA FR-V (BE) 2.2 i CTDi 2005/07 - 0/ 103 140. HONDA CR-V II (RD_) 2.2 CTDi 2005/02 - 2006/09 103 140. HONDA CR-V III (RE) 2.2 i-CTDi 4WD 2007/01 - 0/ 103 140. FRV 2006-2009. CRV 2005-2010. 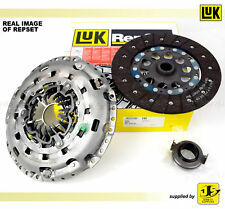 This is a new Genuine Honda 3 Piece Clutch kit to fit the following 2.2 Diesel models CIVIC 2006 ONWARDS. Motorausstattung: für Motoren mit Zweimassenschwungrad. HONDA 22100-RL0-006 1 Schwungrad LuK 415 0468 10 LuK DMF HONDA, für Motoren mit Zweimassenschwungrad. Luk Kupplungen. Sachs Kupplungen. Valeo Kupplungen. 1 X CLUTCH PLATE. 1 X CLUTCH COVER. IF YOU WANT THIS CLUTCH FITTED CALL US FOR A QUOTE OR BOOKING ON. TO FIT THE FOLLOWING VEHICLE/S. Specially popular in para Honda Prokart, Cadet and Fun Kart /Buggy Market. Tooth: 14 tooth (14T). Fit GX and any other 4 stroke engine with a 1" CrankShaft. Accommodates ：40/41/420 Roller Chain. Lo siento que no. 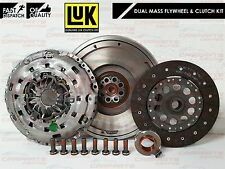 1 x BRAND NEW NATIONAL CLUTCH KIT FITS: Model Year Body Style kW HP cc HONDA - CIVIC VII Hatchback (EU, EP, EV) - 2.0 Type-R 09.01 - 09.05 Hatchback 147 200 1998. In order for a car to stop without stalling the engine, the wheels need to be disconnected from the engine. Every Honda Brake Disc is engineered for each Honda model. GENUINE HONDA PARTSWhy should I only fit Genuine Honda Parts to my vehicle?. HONDA CIVIC 2.0 FN2 TYPE R 2007 TO 2012 MODELS. 1 X NEW CLUTCH KIT. SCOTTISH ENGLISH OFFSHORE ISLANDS, NORTHERN AND SOUTHERN IRELAND, ISLE OF MAN AND ISLE OF WIGHT ETC. HONDA CIVIC VIII Hatchback (FN, FK) 1.4 2008/10 - 0/ 73 100. HONDA CIVIC VIII Hatchback (FN, FK) 1.4 2005/09 - 0/ 61 83. HONDA CIVIC IX (FK) 1.4 i-VTEC 2012/02 - 0/ 73 99. HONDA CIVIC VII Hatchback (EU, EP, EV) 1.4 iS (EP1) 2001/02 - 2005/09 66 90. Productos de calidad Valeo. rápido y excelente servicio! The RPC pressure plate has special single diaphragm design to increase clamp load. The RPC pressure plate provides smooth and precise feel with easy modulation. The kit is supplied complete with release bearing, pilot bearing (where applicable), grease, and installation notes. Part No. 22105PGE325. HONDA FRV 2.2 DIESEL 2005 - 2009. HONDA CRV 2.2 DIESEL 2007 - 2011. 1 x VALEO 3 PIECE CLUTCH KIT KIT INCLUDES 1 x VALEO CLUTCH COVER PLATE (220MM DIAMETER 24 TEETH ) 1 x VALEO CLUTCH PRESSURE PLATE 1 x CLUTCH BEARING FITS PLEASE SEE ABOVE VEHICLE COMPATIBILITY TABLE FOR YOUR CAR APPLICATION. Engine Code: D13B2. HONDA CIVIC Mk IV Hatchback (EG) 1.3 16V (EG3) Hatchback Petrol 10/1991 11/1995 FWD 16 75 55. Function Clutch Kit. Number of splines on input shaft 20. HONDA CIVIC Mk V Hatchback (EJ, EK) 1.4 i (EJ9) Hatchback Petrol 11/1995 02/2001 FWD 16 75 55. HONDA CIVIC VIII Hatchback (FN, FK) 1.4 (FK1) Hatchback Petrol 09/2005 on FWD 8 83 61. HONDA CIVIC VIII Hatchback (FN, FK) 1.4 (FK1, FN4) Hatchback Petrol 10/2008 on FWD 16 100 73. HONDA CIVIC VIII Hatchback (FN, FK) 1.8 (FN1, FK2) Hatchback Petrol 09/2005 on FWD 16 140 103.